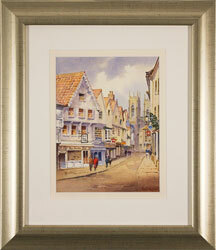 Ken Burton’s interest in art began at school, leading to a career in design and engraving. 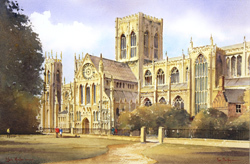 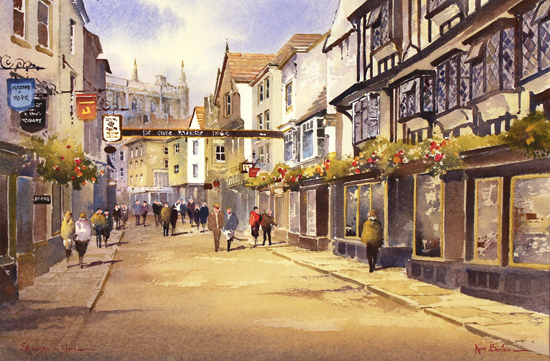 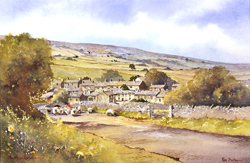 Subsequently entering public service, Ken finally ‘retired’ in 1985 and settled down to his real vocation – capturing the beauty of the countryside in watercolour. 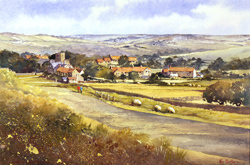 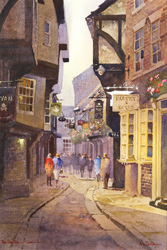 Ken is inspired by Victorian watercolours, and has spent the last 20 years visiting almost every county in the U.K. producing paintings, predominantly in watercolour, of the rapidly changing countryside, towns and villages. 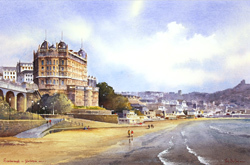 Ken also paints Acrylic on cotton canvas board, a looser style combining brush and palette knife, depicting coastal scenes, cityscapes and industrial scenes. 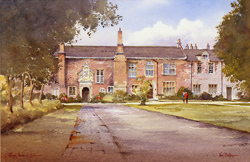 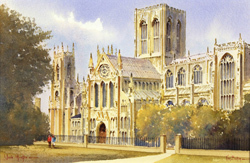 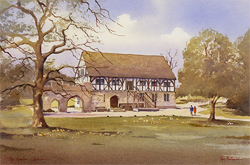 He has also produced drawings in ink, pen and wash, stemming from training in his early years in design and engraving. Ken’s work has been exhibited in leading galleries across the UK, and can also be found in private collections home and abroad, including the USA, Australia, New Zealand and continental Europe. 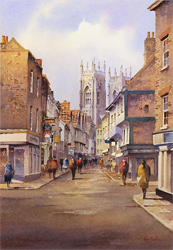 Ken’s work has remained popular across broad audiences throughout his career, and as a result, has also been published as books and limited edition prints. 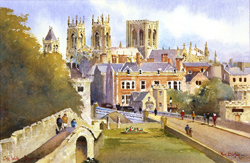 Please note that all Ken Burton art listed in this section has previously been displayed for sale and is not currently available.